Ken has put out a notice on the hair shedding of this knot and offered to take back the brush besides giving back a $20. refund to all that had purchased a brush with this knot (if you returned the brush the $20. refund would be deducted from the full refund). 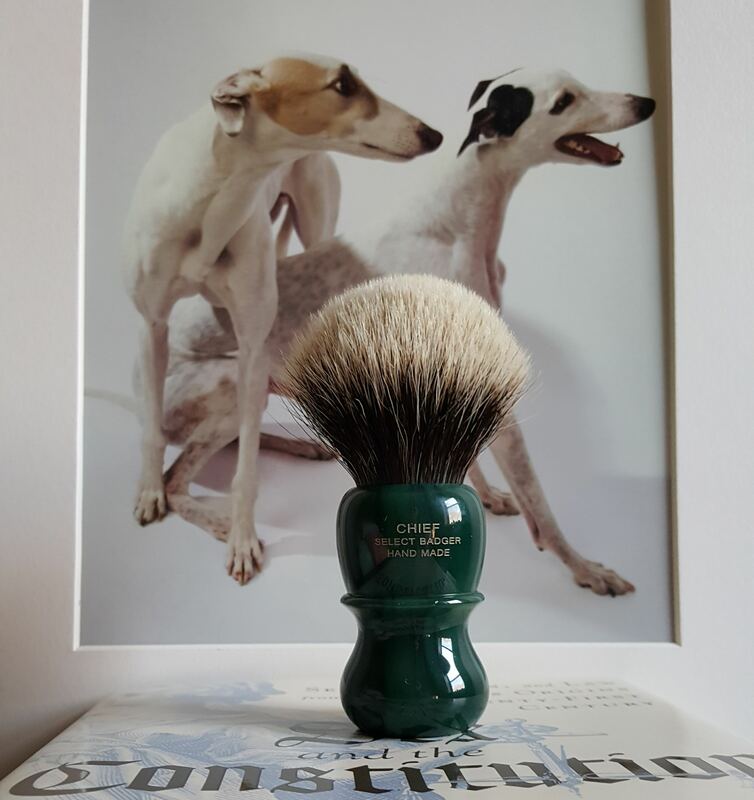 I decided to retained ownership because I felt the brushes shedding was minimal of 6 hairs and has not shed a hair since (according to Ken the shedding was due to some hairs not being attached to the glue base. I will add most of the brushes I've had have shed some hairs which would be normal, some have shed some hairs up to a dozen latherings before it stopped). 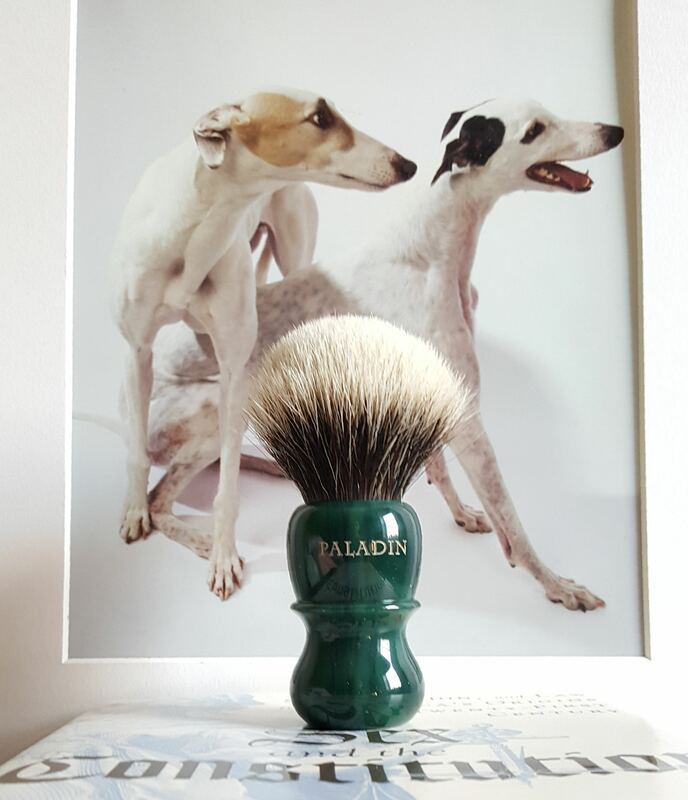 I am selling the brush instead of returning it to Paladin 1- it is an excellent brush with a wonderful handle that someone should enjoy and 2- I did not want Ken to endure a loss on a perfectly good brush that someone will thoroughly enjoy. Here are my thoughts on this new knot and why I,m selling it. (I hope what I have written is not to much info). All the Paladin knots up to this new knot have substantial density from moderate to strong backbone the, tip feel ranges from tip presence to soft (these are the type of knots that I prefer). This new knot has less density with medium backbone (not floppy) then other Paladins knots. 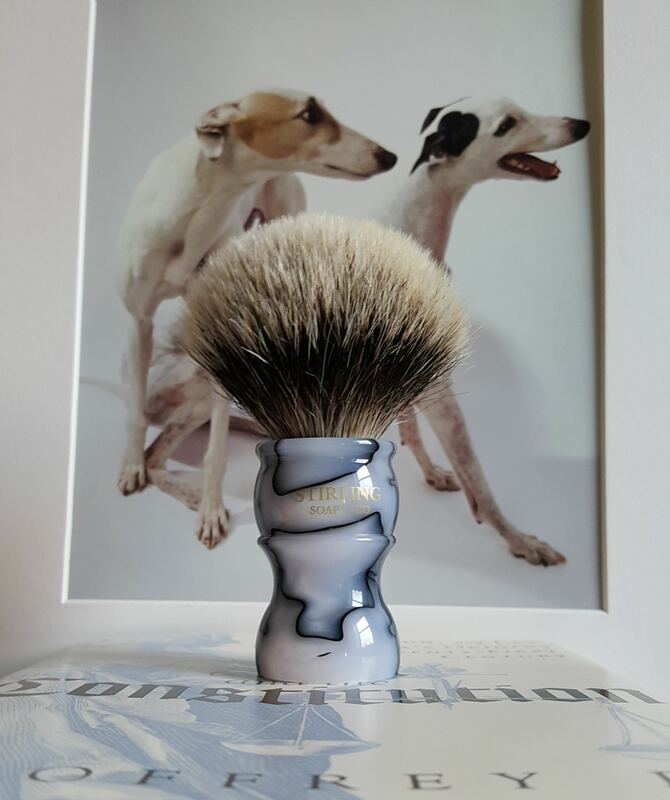 So after some use I would classify the character of this new knot to be similar to company that most can relate to, and that would be a slightly different variation of a Shavemac 24 2 band silvertip but with a soft tip presence. Original price $160, selling for $120. Includes shipping conus, and the shipping tube and brush photo card. Would consider a trade for another Paladin that i like. 2- SOLD*** New Stirling handle style 7 24, 24 x 54 2 band brush. I just received this brush, hand lathered 3 x's faced lathered once. As you can see this brush really bloomed, way to big for me and I also require more backbone. Original price 38.95 plus shipping. Selling for $30. includes shipping conus. If only they were fans. They are very, very beautiful regardless though. (12-09-2017, 07:32 AM)Mouser Wrote: If only they were fans. They are very, very beautiful regardless though. I do not like bulbs in general, 95% of my brushes are fans. I have 6 Paladin fans and after trying a few of their hybrids I became a Paladin hybrid fan. The lathering is not tight but has a wonderful plushness.